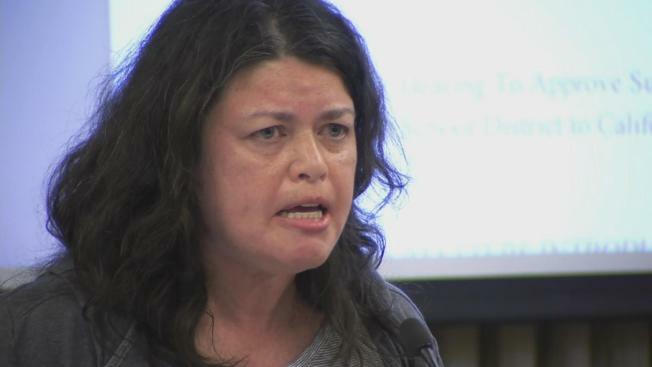 Emotions were running high Tuesday night at an East Bay school board meeting, with parents demanding expulsions for Albany High School students who posted racist and offensive pictures of fellow students on social media. Concerned parents and students packed the meeting, making sure the incident didn't get swept under the rug. They demanded swift and appropriate action. "I would like to see the three boys who created the racist Instagram account expelled from Albany High School," parent Alexandra Campbell-Jones said. One of the offensive pictures posted featured Campbell-Jones' daughter. Now, she and other parents want to make it clear there should be zero tolerance for racism at all of the district's schools. "The district says they have zero tolerance for hate, and this was definitely a hate crime," she said. School officials said they intend to address the incident but told the crowd they were not prepared to discuss the issue during Tuesday's meeting because it was not officially on the agenda. They did, however, assure the crowd it is a top priority. "I’m ashamed, saddened by what's happening at Albany," school board member Jacob Clark said. "I will do whatever I can to make sure this behavior stops now."